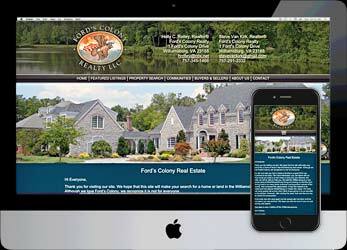 We build our Realtor websites with the same tools used by companies that create template and “pay as you go” websites. With so many brokers, agents, buyers and sellers out there, you need to set yourself apart. We help agents and brokers develop websites that attract clients with your personal branding and local knowledge and insight. For premium real estate agent and broker websites, we use iHomefinder. This accesses your local MLS database to offer site visitors great features like Featured Listings, Quick Property search on every page, Advanced Property Search, Valuation Requests, Open Homes, and best of all, individual listings by community. You certainly won’t find anything like that on your local MLS. This service from iHomefinder involves a setup charge and a monthly fee from them. 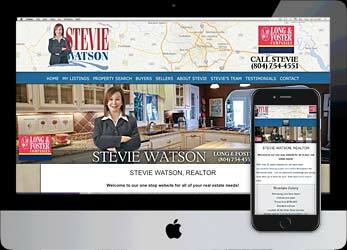 Here are examples of websites we built using iHomefinder. We can also build a budget real estate agent site without iHomefinder that uses the local MLS as it is for the region. We still offer community pages, Buyer and Seller pages and everything else that our more expensive sites include. 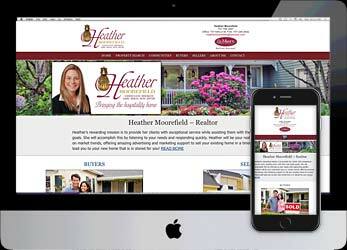 Here is a budget website we created for Heather Moorefield. My broker has a website. Why do I need one? Great…it features the business and everyone in it…what if you leave? We believe all real estate professionals should have their own site that will brand you and stay with you through your career. Shouldn’t I get a site from a Real Estate Specialty company? There are industry specific offers that charge a monthly or annual rate. These can work, but you spend more money over time and the website will never actually belong to you. They are not very personal and most users get very frustrated trying to set up a site on their own. We work with each client individually to establish where you are in your real estate career and discuss your financial comfort level. A brand new agent could get started with a five hundred dollar site (and build on anytime) and a more established agent may want to invest 3 or 4 thousand. We establish your objectives, create a personal, professional design and work with you to pick your required tools and plug-ins.